Seeking community leaders but particularly those involved with accounting, financials and banking, marketing, fundraising, human resources, and real estate. Jim Moir: Jim is a Florida native and has been a resident of Stuart, FL, for the past 24 years. Jim is civically engaged and passionate about protecting the Indian River Lagoon and its coastal margins. He has been an Appointee to the Martin County Local Planning Agency since 2002 and is on the Board of Directors for Indian Riverkeeper. He is a member of the Leadership Team of the Rivers Coalition. He is a member and supporter of many local civic and environmental groups. Jim facilitates ocean science projects specializing in bioacoustics, marine animal surveys, and the deployment of autonomous vehicles and data collection devices. He is currently involved with several citizen science projects, and often volunteers with coastal restoration efforts and exotic invasive species control programs. Kenneth F. Tworoger: As the Tworoger Professional Association Principal Shareholder and Managing Attorney, Ken served clients that included the Seminole and Miccosukee Tribes during the 1980s and ’90s. He participated in the creation and negotiation of the Water Compact between the Seminole Tribe and the State of Florida and was involved with various environmental issues. Related activities included service on the Board and Executive Committee of Goodwill Industries of Broward County (1980–81) and presentations to seminars and workshops. Presently Ken is only available for pro-bono and public interest matters. Ken has been a recipient of the Brevard County Bar Association’s Professionalism Award, Brevard County Legal Aid’s Attorney of the Year Award, the Florida Bar Association President’s Pro Bono Award for the 18th Judicial Circuit, a Florida Today’s Volunteer of the Year finalist, and MRC’s Albert Tuttle Volunteer Service to the Indian River Lagoon Award. Ken is a long-time MRC board member and currently serves as MRC’s Treasurer, Attorney, and Chairman of its Nominating Committee. Bill Cox: Bill is a Brevard County resident and an active member of the Coast Guard Auxiliary. Bill has a Masters in Geography (Remote Sensing) from the University of Texas at Austin. He is passionate about how the Auxiliary and local environmental groups can partner to improve the ecosystems around us. With a background in both the public and private sector, Bill brings many insights to the table at MRC. Bill joined the MRC board in 2017 and has already brought together a great partnership between the Coast Guard Auxiliary and MRC. Lady Shirley Beirne: Lady Shirley is a Brevard County resident and longtime supporter of our marine waters and wildlife. Together with her husband, Dr. Daniel Beirne M.D., she worked with the local police department and municipality to establish and fund a marine division used to enforce the netting and fishing regulations and manatee no-wake zones where the Banana and Indian Rivers meet. As President of BGH Farm, she works with the local community, federal government, and natural gas companies to protect and preserve 900 acres in northeastern Pennsylvania, emphasizing soil conservation, water purity, sustainable forestation, and preservation of wildlife. She is a member of Sutherland Fishery Council, which is responsible for protection and preservation of wild Scottish Salmon, the rivers they travel, and their spawning grounds. She is also a member of the EGYC Advisory Council. She is a “maternal recruiter” of the US Coast Guard, as she encouraged one of her daughters and her grandson to join this branch to further her family’s long-standing military tradition and their dedication to preserving and protecting our waters, fisheries, and wildlife. Dave Botto: Dave is a Florida native residing in Brevard since 1968. He served on the MRC board from 1996 to 2014, nine years as chairman. He was chair of the successful MRC led effort to restrict fertilizer run-off pollution in the lagoon. He retired from USAF and is a veteran of Korea and Viet Nam. He was Chief of Ops Plans for air assets during Apollo and was awarded the Silver Snoopy by the Apollo astronauts. Mr. Botto retired from Harris Corp having served as an engineering and a program management and marketing director. He holds BSc and MSc degrees from the University of Pittsburgh. He is dedicated to restore and preserve the natural wonder that is the Indian River Lagoon. Terry Casto: Terry has been a resident of Brevard County since 1969. He retired from Harris Corporation in 2008, having served as a director in Engineering, Program Management, and Business Development. He is currently the principal of Strategic Growth Consulting LLC, providing guidance and training to companies doing business with the US Government. He holds a BSEE from the University of Akron and post-graduate courses from University of Florida, Duke, and Kellogg. He has been a volunteer with the Marine Resources Council since 2013. Activities include oyster reef restoration, shoreline restoration (pepper tree removal and mangrove transplanting), and muck and water quality sample collection. He is an NEP-certified Lagoon Lifesaver presenter and was featured as an IRL volunteer in Brevard Business News (April 2016). He is also a member of Brevard County’s Save Our Lagoon Plan Citizen Oversight Committee. Mary Chapman: Mary is a retired attorney currently working pro bono on a number of Lagoon issues, primarily water quality and related problems. She is on the Harbor Advisory Committee (St. Lucie County) and on the board of the Ocean Research and Conservation Association; she has been on the MRC Board since 2004 as well as on the board of the Conservation Alliance. She has participated in several marine studies such as dolphin census, sea turtle protection worldwide, and whale behavior. Robert Day: Bob has been a resident of the Indian River Lagoon basin since 1971. A graduate of Florida Technological University (now University of Central Florida), Bob worked for the Florida Department of Environmental Regulation, Brevard County Office of Natural Resources Management, and St. Johns River Water Management District as Project Scientist for the Indian River Lagoon National Estuary Program until his recent retirement. He participated in the FIRST Conference and series of American Assemblies sponsored by MRC; the Governor’s Indian River Lagoon Field Committee; the development of the SWIM Plan for the IRL as well as the IRL Comprehensive Conservation and Management Plan developed by IRLNEP; and managed the Citizens Water Quality Monitoring Program and Shoreline Restoration Program contracts for IRLNEP. Paul Laura: Paul is a resident of Jensen Beach who actively participates as a volunteer scientist doing R&D with Florida Oceanographic Society and Smithsonian Marine Station, which are both located on Hutchinson Island. He is very involved as Member of Florida’s River Coalition in Stuart; Chair of Treasure Coast Democratic Environmental Caucus (TCDEC); and Board Member and Director of Southeast Region, Democratic Environmental Caucus of Florida (DECF). Before retiring, he lived in Europe for eight years as Global Manager for Lubrizol Corp, a Warren Buffet Company of Berkshire Hathaway. He holds a BS degree from St. John’s University and an MS degree from the University of Florida. Dr. Ken Lindeman: Dr. Lindeman is a professor at F.I.T. who has applied emerging science to advance coastal policy decisions for over 35 years in the southeast U.S., Mexico, Cuba, and Brazil. He has published approximately 70 peer-review research articles in 20 differing science and policy journals, and co-authored books on fisheries, coastal management, and sustainability by the Smithsonian Institution Press, Duke University Press, and K.I.T. Scientific Publishers. Highly focused on applied policy, he started his first coastal non-profit in 1989 with offices in Jupiter and Miami, Florida, and served >30 advisory boards/panels on land use, habitat conservation, fisheries, and climate change. He launched F.I.T.’s Academic Sustainability Program in 2010 with over 100 major and minor graduates as of spring 2017. He has lived in seven East Florida cities and three counties on the IRL. Mary Murphy: Mary moved to Brevard County in 1987. She has a B.A. from Concordia University in Montreal, a B.S. and Fifth year in Accounting from Rollins College, and received her FL CPA license in 1997. She worked at Northrup Grumman for 3 years and 16 years at Harris Corp. in the field of Accounting and Finance. Mary enjoys hiking, camping, kayaking and canoeing. She recognizes that it’s time for her to do what she can to be a good steward of the environment. 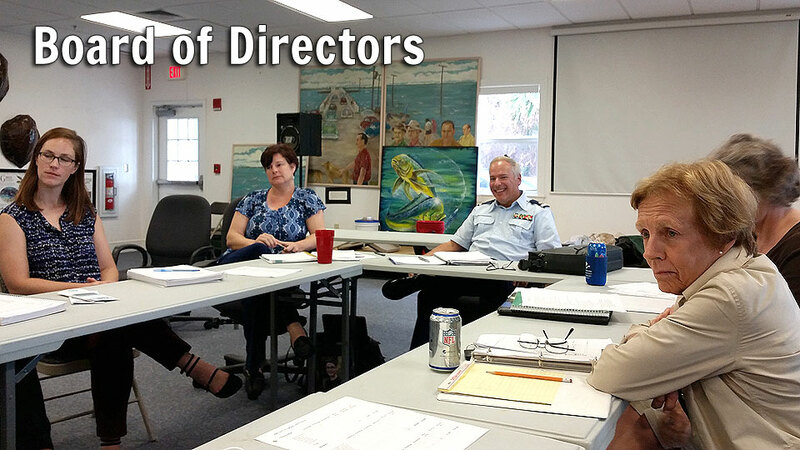 Mary offers her skills and services to the MRC to help protect the Indian River Lagoon. R.T. “Bo” Platt: Bo grew up in Eau Gallie in the 50s and 60s. As a kid, the Indian River was his playground. He spent summers wading in the flats, swimming out to the channel markers, and rowing his rowboat over to Mather’s Bridge for fun. After finishing grad school, he spent the bulk of his career working in social services for the state of Texas. At his last job, he was the Director of Eligibility Operations, where he oversaw the eligibility side of the SNAP (Food Stamps), Medicaid, Cash Assistance, State Children’s Health Insurance Program, Refugee Services, and other need-based programs. He had always wanted to return to this area and was able to do so when he retired four years ago. Upon returning, it was immediately obvious that the lagoon was having some problems, so he became active in the local native plant society chapter, Surf Rider, Marine Resources Council, and helped start the Brevard Indian River Lagoon Coalition. He is also Vice Chair of the Environmentally Endangered Lands Procedures Committee and the City of Melbourne Energy Efficiency and Beautification (Sustainability) Board. Joanie Regan: Living along the lagoon for over three decades, Joanie has served as the stormwater manager for the City of Cocoa Beach for more than two of those decades — overseeing watershed improvement projects, executing the City’s federal stormwater permit, and helping coordinate watershed education efforts with local governments along the Indian River Lagoon. Joanie has been actively involved in the IRL-BMAP development and has served on various lagoon advisory boards. Natural communities and low-impact design — as a way of reducing watershed pollution — is a priority in Cocoa Beach’s stormwater methods. A graduate of Florida Institute of Technology, Joanie is a past president of the Florida Stormwater Association (FSA) and an active member of the Cocoa Beach Surfrider Foundation. She is also a member of the Florida Native Plant Society and board member/former chair of the FSA Educational Foundation. Maureen Rupe: Maureen served on MRC’s board since 2005 and is extremely interested in preserving the Indian River Lagoon. She has an extensive background in public service including president of Partnership for a Sustainable Future (2002–present), a coalition of 15 progressive and environmental groups in Brevard County, many directly involved with the Indian River Lagoon. Ms. Rupe is the Natural Resource Consultant for the League of Women Voters of the Space Coast and a member of the Board of Directors for Parrish Medical Center. Ms. Rupe was on the Brevard County Charter Review Commission in 1998 and 2002, on the Brevard County Redistricting Commission in 2000 and 2010, and on the Port St. John Library Board of Directors since 1988. She is on the Executive Committee of the Turtle Coast Sierra Club and is a member of many environmental groups. Ms. Rupe was selected for the 2015 Brevard County Charter Review Commission.